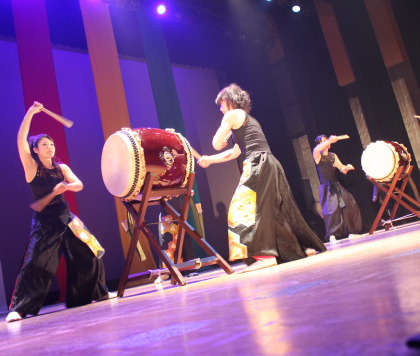 PERFORMANCE - Taiko Center Co., Ltd.
We can also send our performers to your company parties at hotel, school trip venue, event hall and so on. If you are here when we are hosting a taiko concert, we will be able to reserve the tickets for you as well. Performance prices are completely different from the class prices, so please contact us if you are interested in this option. Please see the list of performance groups below for more details regarding the performers. 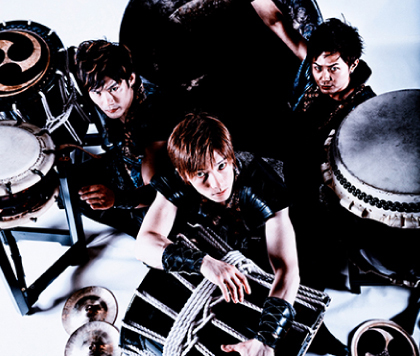 Mugen is a young and energetic three-man taiko drumming group, consisting of Kiyomasa Hanahara, Hidemasa Hanahara and Yuichiro Furusato. They have performed worldwide as well as within Japan. In 2012 they were personally asked by Avril Lavigne to join her Japan Tour as guest artists, and in 2014 they collaborated with her again at Osaka and Tokyo performances. Yuzarakuza consists of Kinoko Chujo, Ryuji Tomono, Aoi Miyasako, and Kenjiro Ishida. They compose original pieces that portrays the energetic and fun mood of traditional festival music from various regions of Japan, in hopes to deliver the “living energy” to the audience. 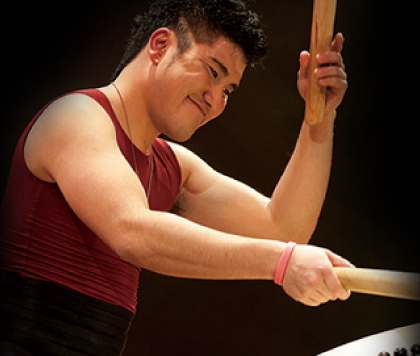 Ryuji has been achieving successes in life through taiko despite having a minor disability. He has been a member of “Kokeban and His Friend Orchestra” - an orchestra lead by a world reknown conductor, Kenichirou Kobayashi - and performed with them on over 10 stages a year.